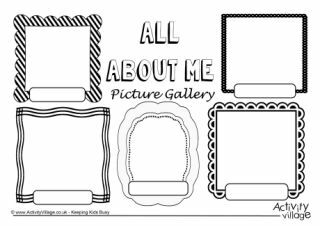 These story character worksheets are an excellent way to get children thinking about character development before they start on some creative writing, and to provide a little "prompt" to get them started. They come in two versions: blank or guided for younger children. You might find they help with even the most reluctant of writers! We have two simple, single worksheets and then packs of "characters" to download so you or the kids can choose the ones to work on - a grand total of 81 characters, in fact, so your child will find everything they need for fantasy or fairy tales, adventure stories or monster stories, historical fiction or present day drama! This story character worksheet allows children to plan their character in words and to draw a picture too, or cut and paste one from elsewhere. You might prefer the guided version for younger children. This useful story character worksheet helps younger children to plan out their character before beginning a story, helped by our prompts. We have a non-prompted version too. There are 10 pages of children in each pack of these "my story character" worksheets, designed to encourage and inspire some creative writing. Choose the guided version for younger children or kids who need a little extra nudging. The kids will enjoy writing character profiles for these fun Christmas characters! They can choose from an angel, a robin, a gingerbread man, a reindeer, an elf and of course the big man himself, Santa! Writing a fairy tale is so much more fun if you can plan out your characters before hand with the help of our "my story character" worksheets - this time full of fairy tale characters! Each pack has a page for a prince, princess, king, queen, witch, fairy, knight and dragon! Encourage some creative writing with a historical theme with the help of our character development worksheets. Each pack below contains 20 different printable pages, ranging from Ancient Egypt, Greece and Rome to 20th Century scientists as inspiration! There are all sorts of "characters" to pick from in these packs of story character worksheets - in fact there are 12 to choose from: an alien, ballerina, cowboy, pirate, astronaut, footballer, knight, medieval maid, outlaw, super sleuth, bride and groom. How exciting! At the heart of every good story there is always a hero, and perhaps that hero will be one of the people who help us in our everyday lives, like a teacher, janitor, doctor, nurse, fireman, rescue worker, librarian ... or any of the 22 characters that you can choose from in these useful packs! We've got 5 lovely Thanksgiving characters to help the children with their writing, including a turkey!